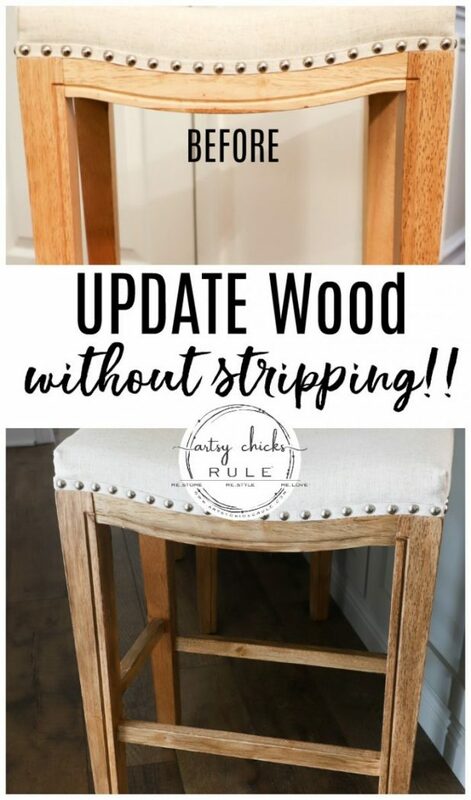 I’m sharing how to restain wood without stripping today! I use a simple product, and a simple process, to do this. Read on! I’ve got a super simple little DIY for you guys today. 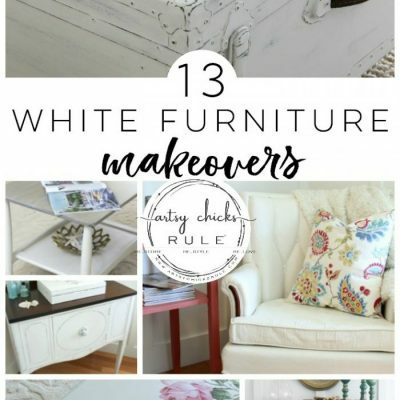 I had planned to share a brand new (old) piece of furniture that I am giving a makeover to, today. But sadly, did not get it finished. (I didn’t want to rush it just to post it today) I will be posting it next week, so stay tuned. If you follow along with me on Instagram, you probably saw me post about it in my “stories”. I showed it to y’all and asked what you thought I should do about that top (see that odd piece of wood?). Well, a lovely follower over there gave me a great idea! And I did it! :) I just love you guys. 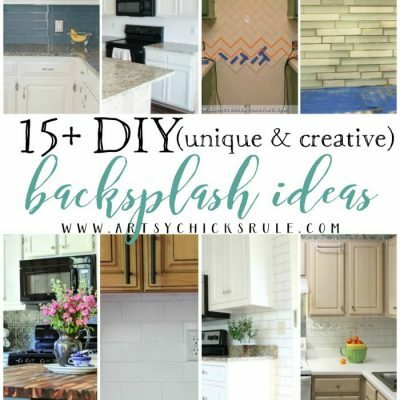 I hope to inspire you with my posts, makeovers, thrifty decor and tutorials, etc, but guess what….. YOU inspire me too! It’s such a giving community, and I just love it. Okay, so let’s talk about how to restain wood without stripping. 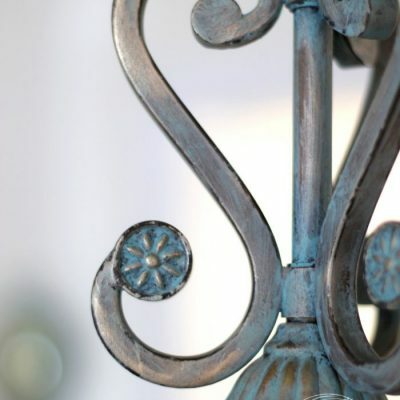 I just want to get the fun part….painting, making beautiful, etc! And the sanding and stripping is just not fun for me. 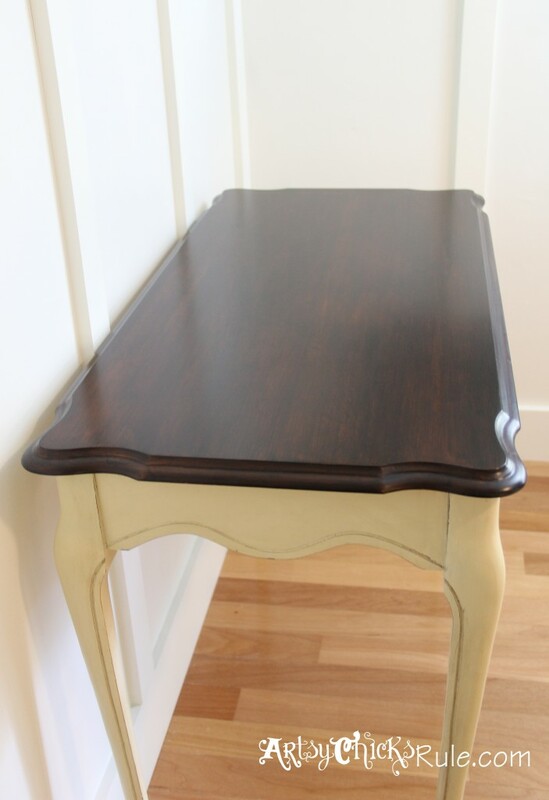 Although….I do love to see that gorgeous bare wood that’s revealed after stripping and sanding. We are talking about how to restain without stripping. 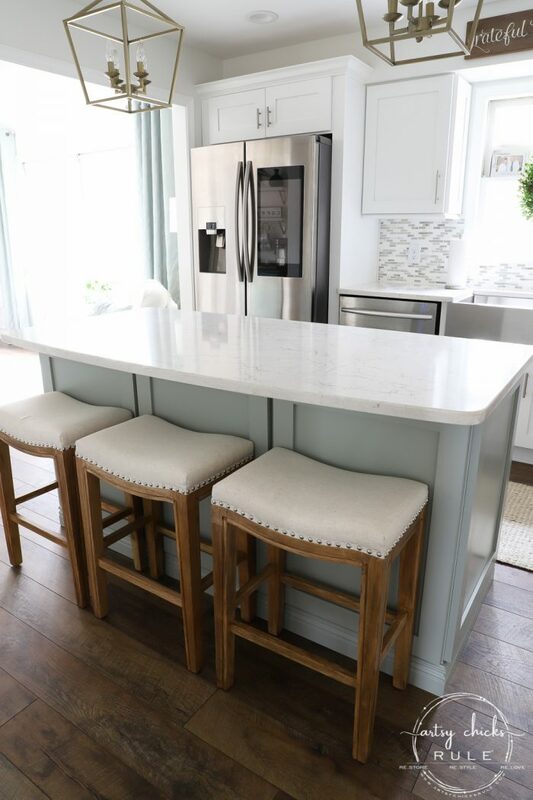 When I shared our recent kitchen reveal you probably saw these bar stools we picked up for the island. OH!! And pop back over there because I found 2 photos on my phone that show how we did the back side of the island. Duh, I thought I had taken photos of that but since I did it on my phone, instead of my camera, I missed them! See how orange-y they are??? Not exactly the look I was going for and they don’t look that great with our new flooring either. 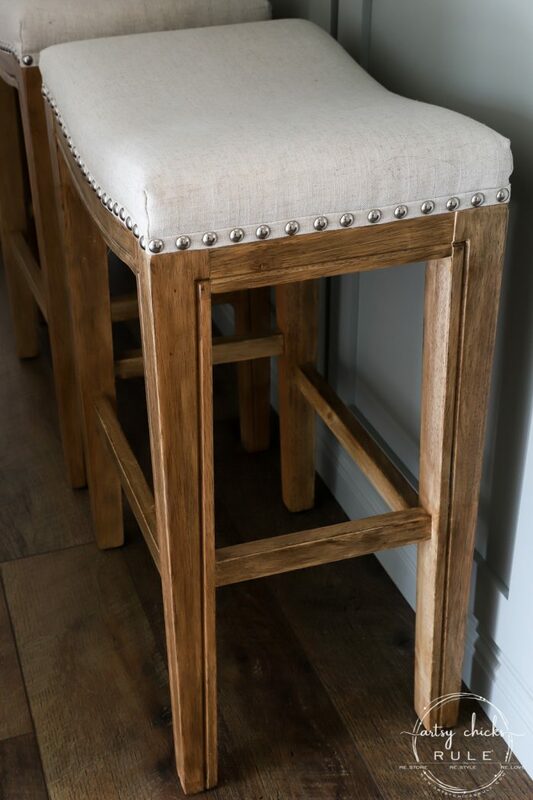 I had searched (and searched) for bar stools I liked but couldn’t find any anywhere. 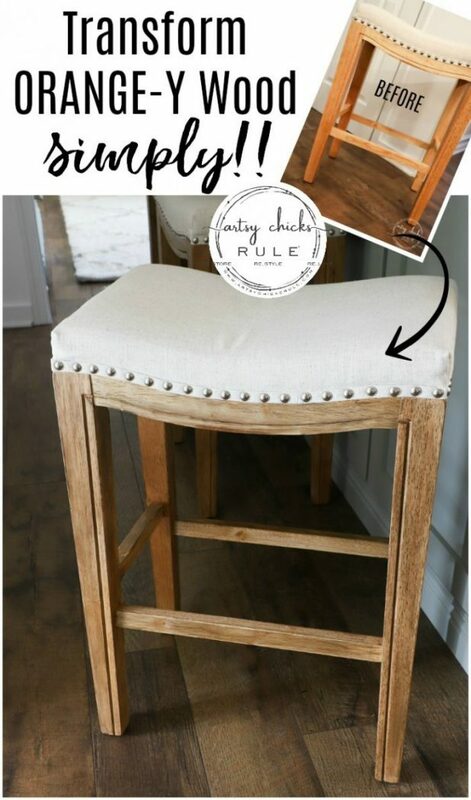 I absolutely loved the style of these, the ivory upholstered top, nail head trim…all exactly what I was looking for. That color will just not do. And giving things makeovers is what I do, so….. But before we get too far ahead….let me tell you where I got them >>> here. TIP – Use a good brush or foam brush, a light hand with enough product that it doesn’t “pull” and “drag”. It will settle nicely as long as you’ve used enough product. Too little and it can look splotchy. 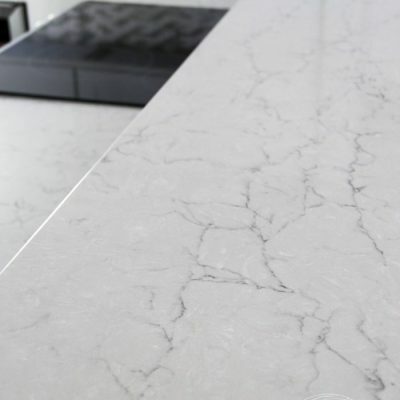 However, too much and it can look heavy, thick and cover up any graining you have. It’s best to practice on a scrap piece of wood so you can get a feel for the product first. 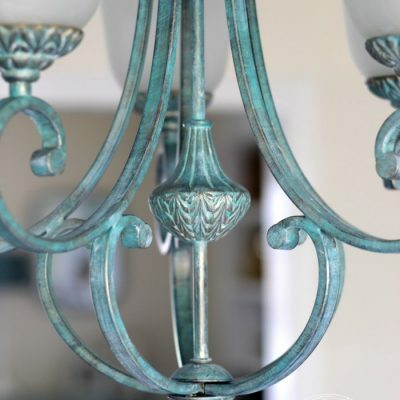 Here is >>> the color I used for this project. And as you know, this is how they turned out. And they look much nicer with the flooring without clashing with it. This product is perfect for this type of situation. 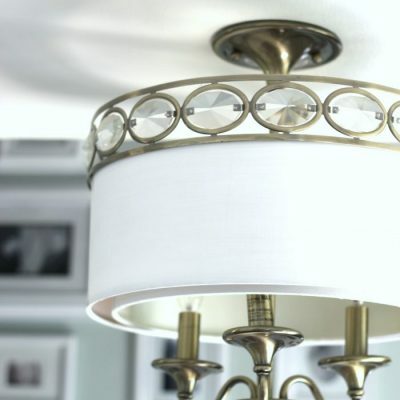 I don’t recommend this product for every makeover project, but when you have something small like this that needs a quick little update, this is perfect. I actually very lightly sanded 1 of them…and then forgot to sand the other 2 (remember…I was frantically trying to finish up things before the holidays, lol) I just got on a roll! Now, here’s the thing, you don’t always have to sand. It really depends on the finish you start with. This finish actually happened to be less “shiny” and more matte. I think that is why I had no issues. Overall I would recommend doing a very light sand (and I do mean light with a very fine sandpaper). Be sure to wipe away all of the dust before you begin. And always clean well. That goes without saying. I think they look so much better and it truly was an easy update. And like I’ve said many times before, if you find something you love and it’s just not right, or the right color, etc, bring it home anyway. 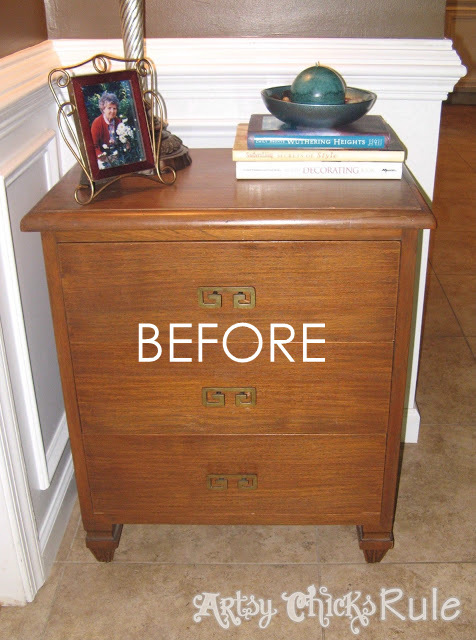 Then give it a little mini makeover..and voila!, your perfect, loved piece. I did that same exact thing with our coffee table in our morning room….and our table in the foyer. Some of my first projects with this product in this post. See them all >>> here. 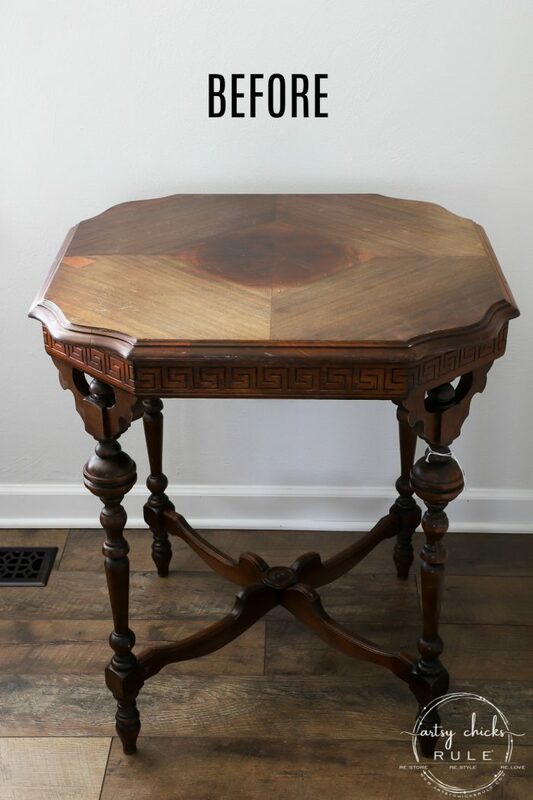 Another favorite and early one on this $5 thrift store coffee table! 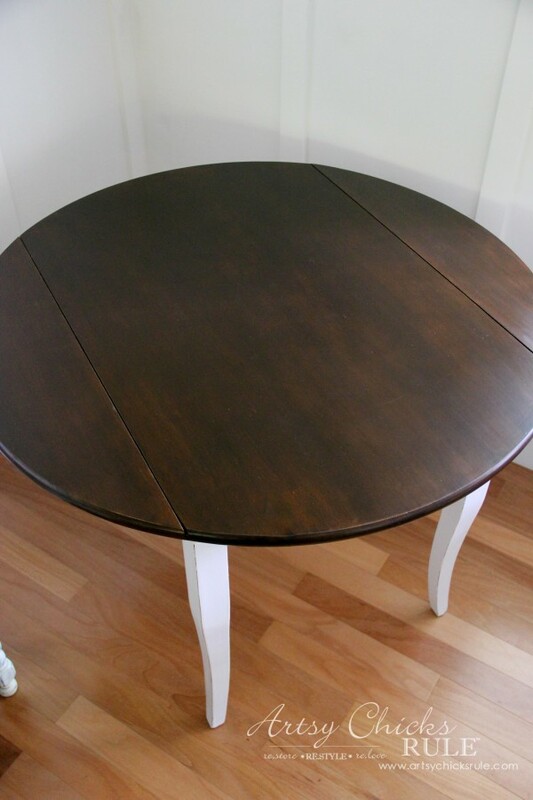 This old table got a brand new look…with paint and PolyShades. See what it looked like “before”>>> here. 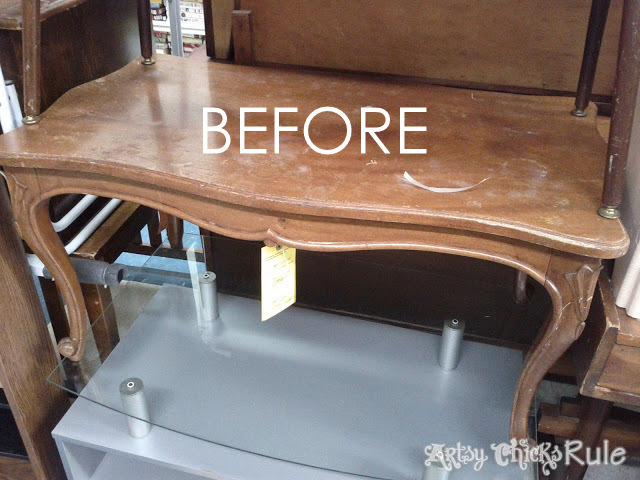 Check out what this one looked like “before”>>> here! So, as you can see, this is a nice work around from sanding and stripping. Less work with optimal results is always a good thing, right? Like I mentioned, I don’t recommend this for every project but it is a great one for many! 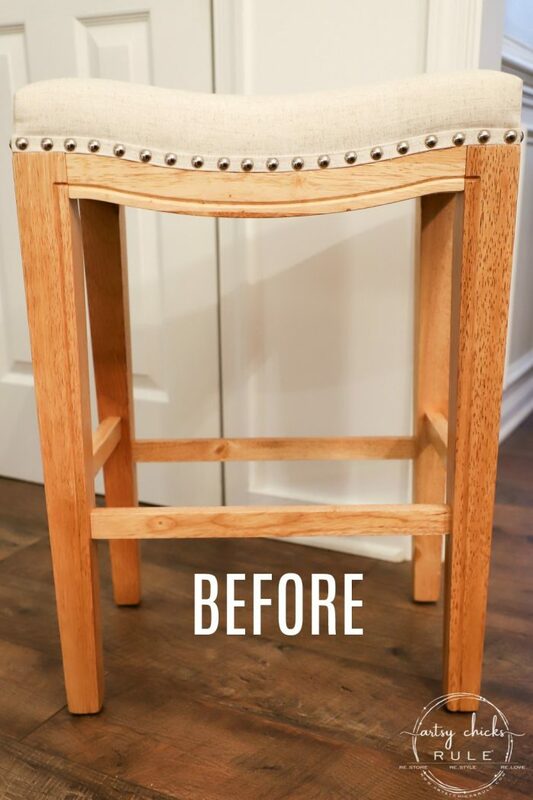 I do have some other products that are equally simple to update old stain with…just differently. It’s good to have lots of makeover options in your arsenal. Options are good….and fun. Hope you enjoyed learning more about how to restain wood without stripping! I’ll see you back here on Thursday with all the info on how we built out our deep, custom look crown molding in the foyer. Positively brilliant Nancy! Love the color and the poly stain looks wonderful. Saved it to my wish list. Looks great! I have some orangey kitchen cabinets . Would you suggest this product for cabinets? Thanks for sharing this! I have a beautiful jelly cupboard my husband built for me when we were first married 25 years ago, and I love it so much, except it is stained a orangey honey color (it is pine) that was popular in country decor back then and clashes with my current kitchen cabinets which are more of a dark oak color. I know the grain is very different, but I think I could at least get it to a color that blends better with my cabinets, as I don’t want to paint it. After looking at the colors, I’m not sure which choice would be best, but I guess I can test it on the back of the cupboard. I would assume the existing color underneath affects the new color it to some degree. Is polyshades like gel stain….? Did you need to remove the upholstery before staining ? I may have to try this product sometime! I always like what you present! I love the Minwax products! I love using Polyshades over wood that as an intact topcoat. I’ve used it over glossy and matte topcoats with great success. Over raw wood, I get splotchiness but I love it over sealed wood. I usually apply it with a blue paper shop towel. I dip it into the van of Polyshades and wipe it on. I always, miraculously, get a beautiful even coat. I can adjust the darkness and depth easily that way. 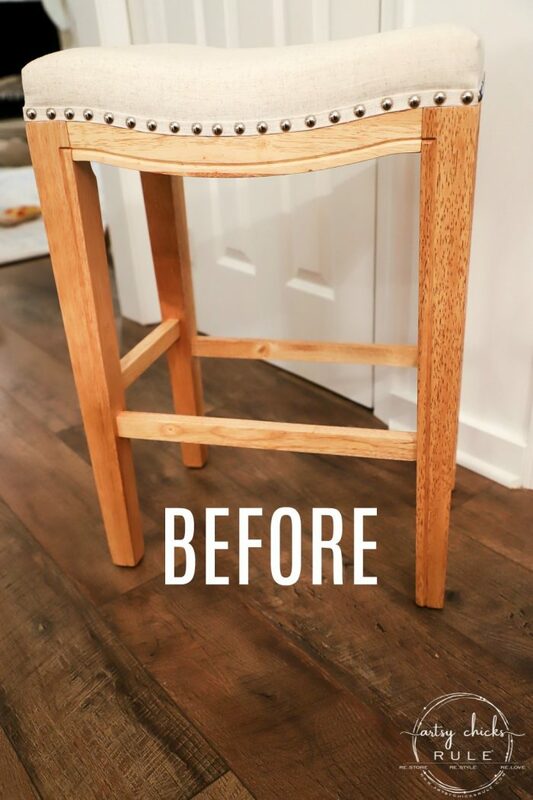 Thank you for showing off one of my favorite, easy staining products! 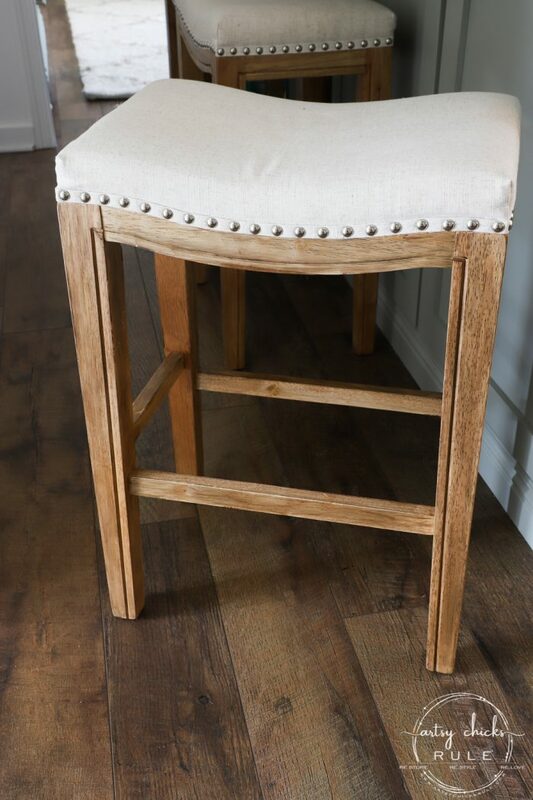 Your work is gorgeous and the stools are now fabulous! Exactly what color did you use on the stools. It looks a little lighter than the Tudor.